Kendall. Kendall. Kendall. 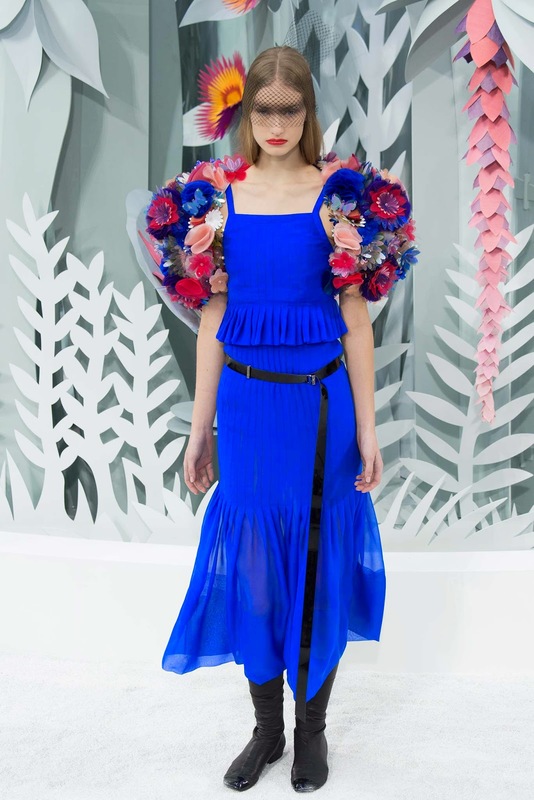 The name that was one everyone's lips at the Spring 2015 Chanel couture show in Paris this week. 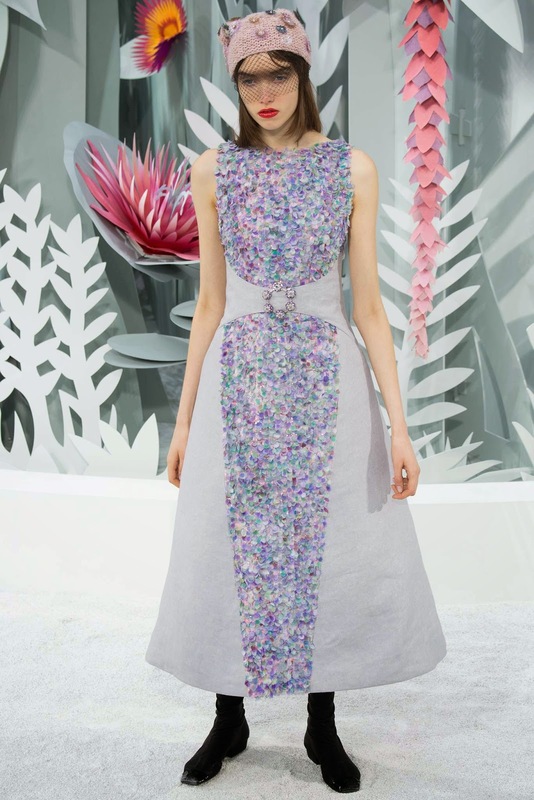 After a time off the catwalk, Kendall will be returning for the Chanel Spring Couture show. 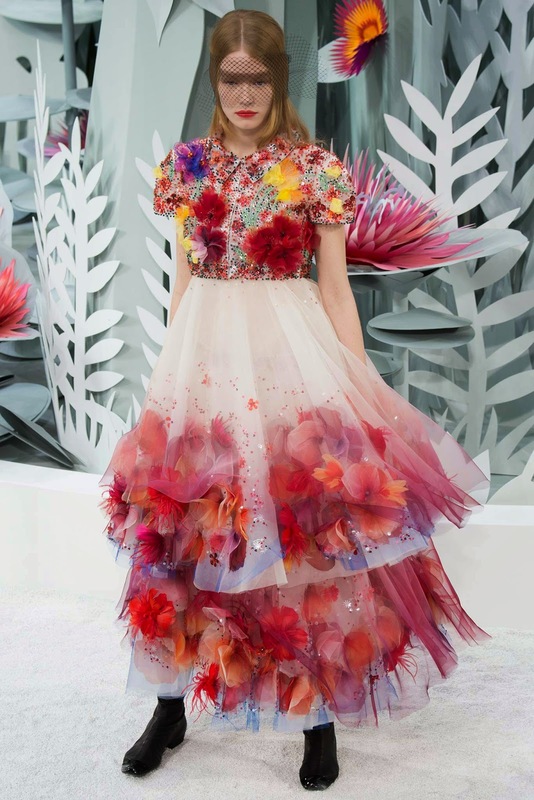 The show setting was absolutely stunning, Chanel are known for their beautiful sets, and heres why! Such a glorious spring vibe was conveyed, with beautiful mechanical flowers moving to opening. 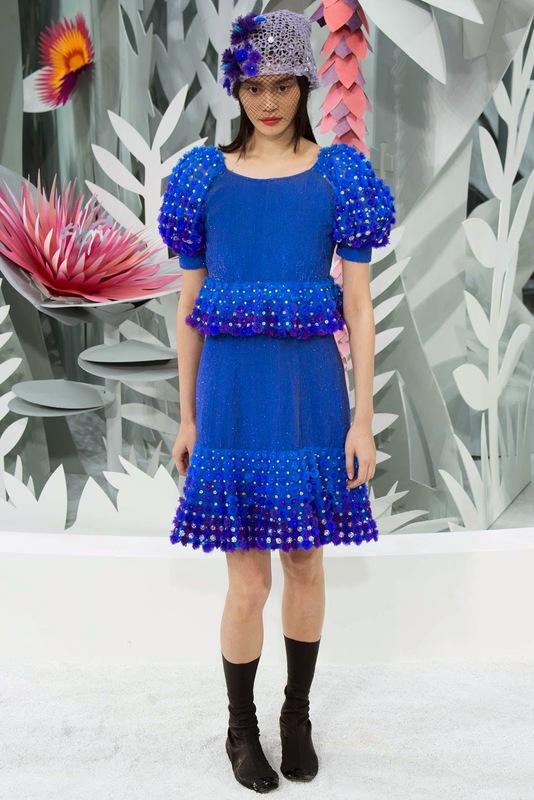 The thing that I love so much about Chanel is there uniqueness and individuality. The feminine shaped pieces are iconic - something all of us women admire. 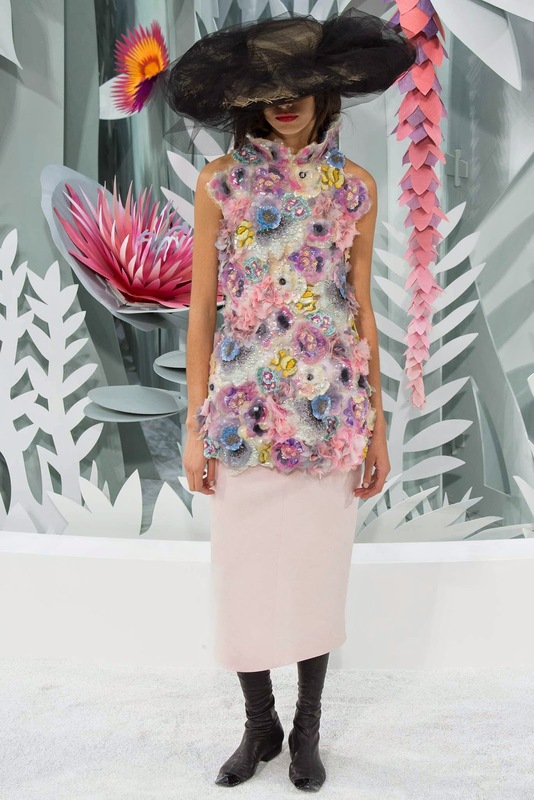 I wanted Chanel to relive their beautiful pastel colours, and they sure did that with this collection. I really spent time watching the show, and every single look was elegantly beautiful. All so unique and all so different - something I loved when I saw it. 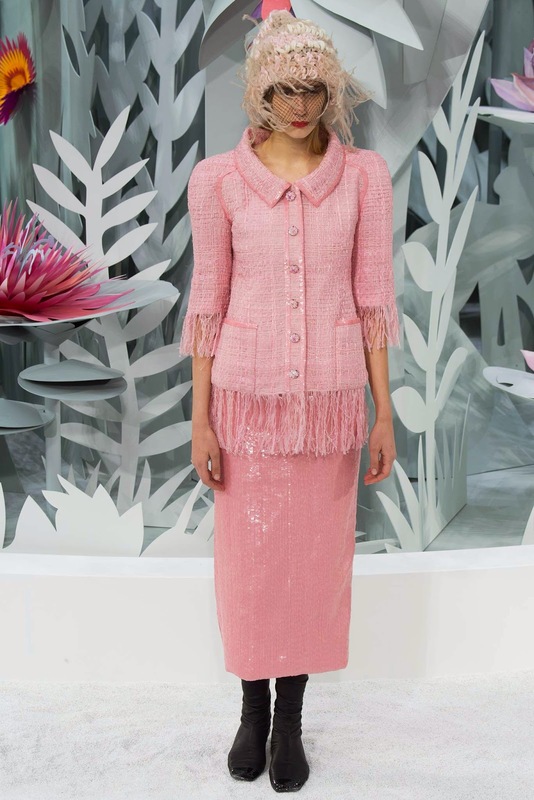 The classic Chanel vibe was there, a captivating display by Lagerfeld! The show opened with bold colours which I wasn't expecting at all. 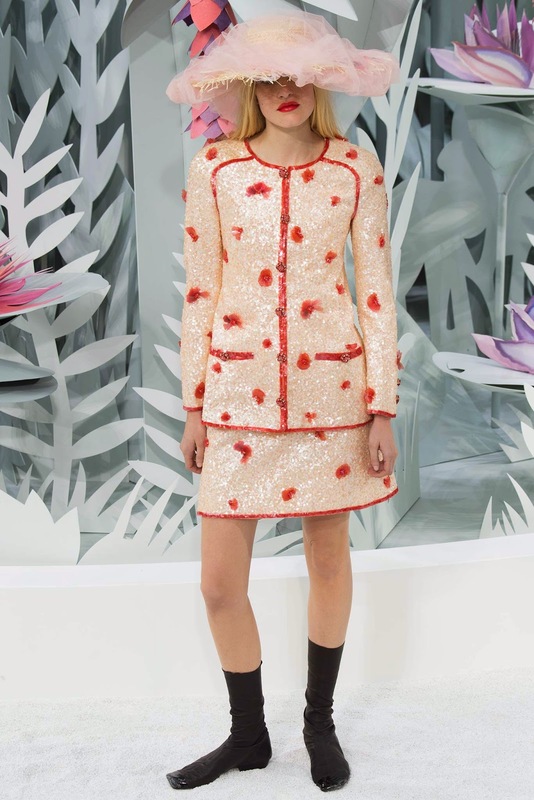 Easily recognisable with the fitted jacket and pencil skirt - a tradition of the Chanel brand for many years. The thing that really caught my eye with this collection was the beautiful detailing on the pieces. From the woven delicate tweed jackets to the sequins and floral elements on skirts, every feature made the show. 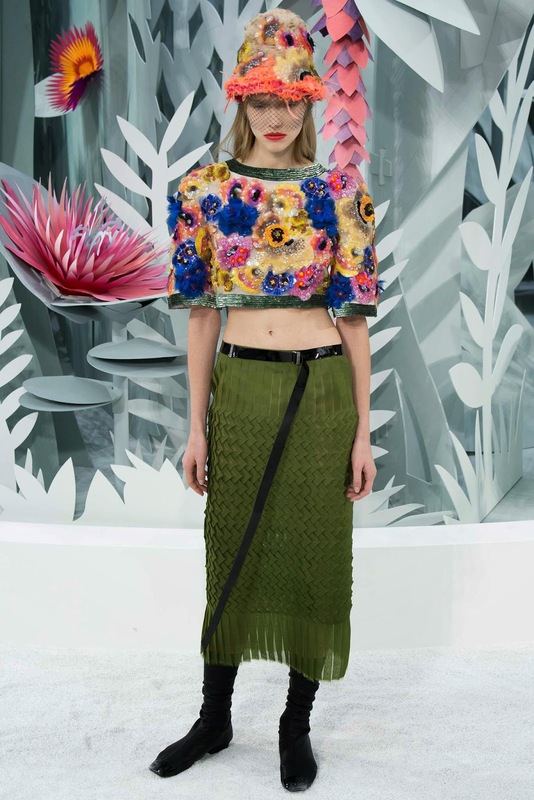 The flat booties, open midriff and slouchy skirts show the constant reinvention of Chanel, especially in 2015. Alongside the new elements, we get flashes of the past with the delicate tweed fabric with floral trims. The collection is one which we all want, but impossible to wear daily. 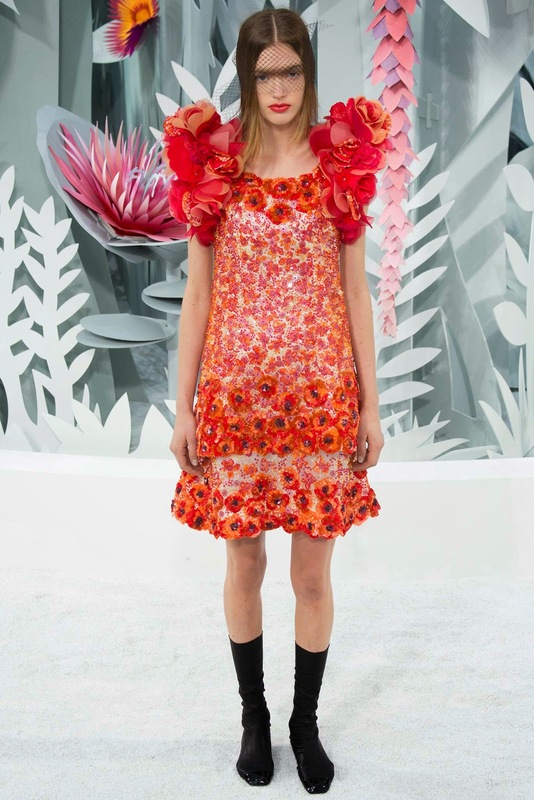 Taking aspects from each look make us admire Karl and his effortless creations. 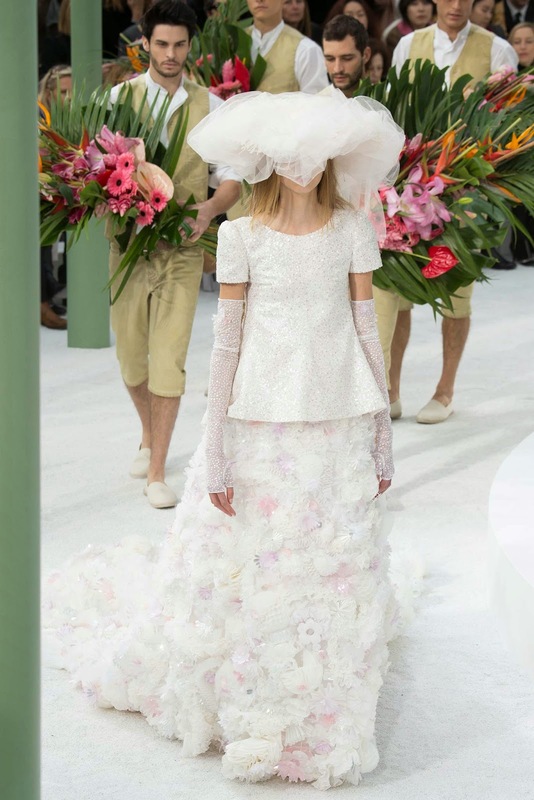 His ideas are so fantastic, that it brings the whole show to life - making Chanel Haute Couture a very anticipated show. The clothes were reflecting the lovely french spring season, something that really did make me fall in love with the collection. As Lagerfeld said backstage of the show; "Keep the best - forget the rest."